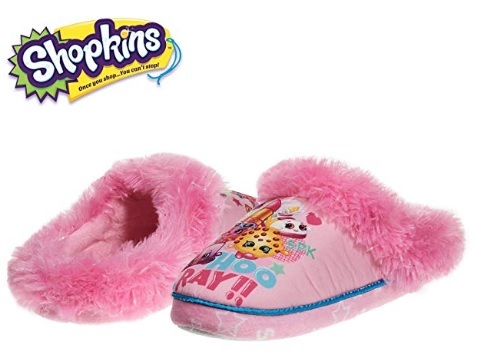 She’ll love the bright colors and fun character graphics of these Shopkins Girls’ House Slippers! These slip on house slippers are not only super soft and comfy, but they also have a firm yet flexible indoor/outdoor outsole, so that your kid can walk on any surface and still be comfortable. 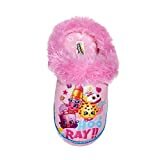 Featuring adorable Shopkins character faces across the top, these slippers are made from comfortable and soft materials designed to keep your little one’s feet warm.